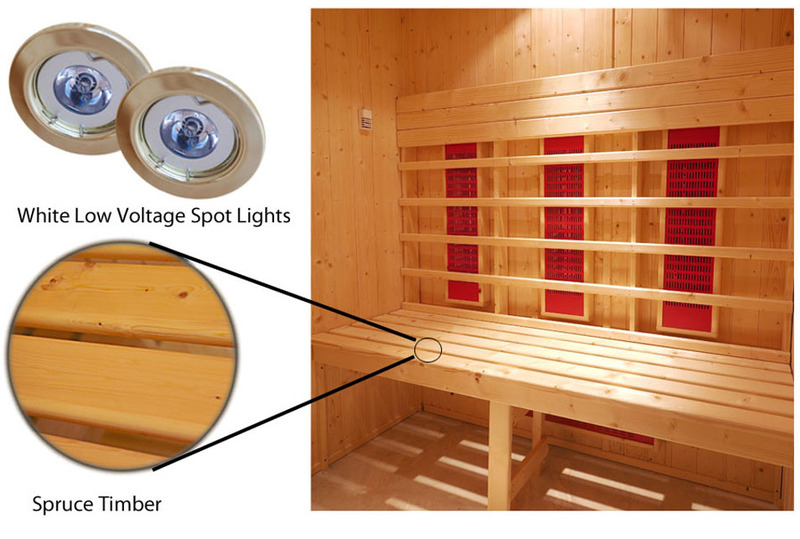 The infrared sauna is supplied with 8 x 300w heaters totaling 2400Watts. Our brand new modern full height safety glass sauna door with clear glass, polished chrome & Ash wood handle and polished chrome hinges, the door mounted in its frame is the same size as a panel and entirely symmetrical, though the door must for safety reasons be opened outward it can be hinged either left or right. Slatted wooden benches, backrest and floor mat, lighting, all fittings and fixing, assembly manuals and user instructions. All our cabins are manufactured in our own UK factory using traditional kiln dried Grade A Unsorted Scandinavian spruce from managed and replanted forests. All models are designed for permanent installation with fully screwed joints. A range of standard sizes are available in addition sizes can be tailored to suit individual requirements. 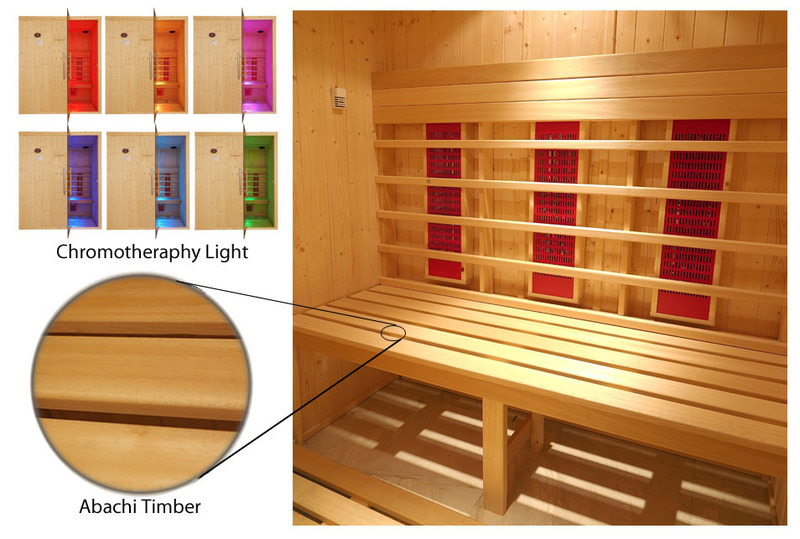 Infrared sauna panels are fully insulated with 50mm of rockwool fibre, and are clad on both the exterior and interior faces allowing the sauna to be assembled free standing in almost any location without the need for brickwork, plastering or fixing to walls. The door mounted in its frame is the same size as a panel and entirely symmetrical, though the door must for safety reasons be opened outward it can be hinged either left or right.